Wednesday, October, 23, 2017, 7:30 p.m.
Lori Rader-Day, author of The Day I Died, The Black Hour, and Little Pretty Things, is the recipient of the 2016 Mary Higgins Clark Award and the 2015 Anthony Award for Best First Novel. 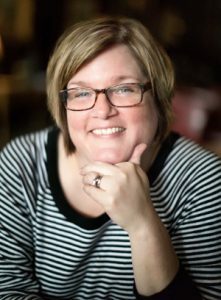 Originally from Thorntown, Indiana, Lori studied journalism at Ball State University and received her MFA in Creative Writing from Roosevelt University in Chicago. Lori now lives with her husband Greg in Chicago, where she is the current president of the Mystery Writers of America Midwest Chapter. From the award-winning author of Little Pretty Things comes this gripping, unforgettable tale of a mothers desperate search for a lost boy . . .
Anna Winger knows people better than they know themselves with only a glanceat their handwriting. Hired by companies seeking trustworthy employees and by the lovelorn hoping to find happiness, Anna likes to keep the real mess of other peoples lives at arms length and on paper. But when she is called to use her expertise on a ransom note left behind at a murder scene in the small town she and her son have recently moved to, the crime inevitably gets under Annas skin. 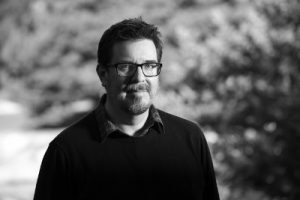 Christopher Coake is the author of the novel You Came Back (2012) and the story collection Were in Trouble (2005), which won the PEN/Robert Bingham Fellowship for a first work of fiction. In 2007 he was named one of Grantas Best Young American Novelists. His short fiction has been anthologized in Best American Mystery Stories 2004 and The Best American Noir of the Century, and published in journals such as Granta, The Southern Review, The Gettysburg Review, Five Points, and The Journal. A native of Indiana, Coake received an MA from Miami University of Ohio and an MFA from Ohio State University. He is an Associate Professor of English at the University of Nevada, Reno, where he directs the MFA program in creative writing. UIndy’s Allen & Helen Kellogg Writers Series brings writers of distinction to campus for public readings and discussions. All events are free of charge.